When I am not thinking about the next blog, I staff workshops that support people in discovering that all of their experience is narrowed by their beliefs. 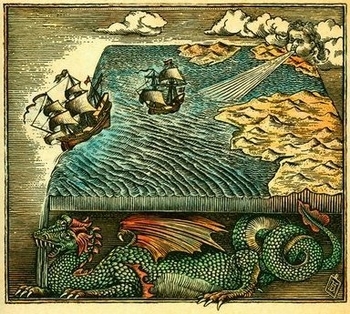 The simplest example of this phenomena is that a little while ago, we believed that the earth was flat and reduced our range of choices accordingly: When sailing, stick close to shore, else you may fall off. Then explorers brought forth a shift in consciousness, and the known world expanded. President Obama referred to the controversy over “American exceptionalism” in his speech at Selma this month. What greater form of patriotism is there than the belief that America is not yet finished, that we are strong enough to be self-critical, that each successive generation can look upon our imperfections and decide that it is in our power to remake this nation to more closely align with our highest ideals? The objective of AP history, other than the college credit, is to learn to think critically. The follow-on instrument for inquiry is the liberal-arts college, a manifestation of our belief in the potential to advance knowledge. Yet like any institution, it has its blind spots, one of which conservatives dub “political correctness.” And as commencement season nears, we can expect students on some campuses will protest this or that dignitary invited to address the graduating class. The seniors, in several high-profile instances, will object to a speaker whose views are anathema to their own, so dogmatic have they become. I like the first sentence: the illimitable freedom of the human mind. Problem is, many of us interpret “truth” to be absolute, when it is nothing more than our own interpretation. Yet we act as if another’s truth offends our own. In a New York Times column on the fear that is limiting discussion on college campuses, Judith Shulevitz quotes a student, “I was feeling bombarded by a lot of viewpoints that really go against my dearly and closely held beliefs.” The gist of Shulevitz’s reporting is that colleges have become dedicated to creating “safe space,” where students are protected in their prejudices, as if contrary ideas by themselves would trigger old trauma. Well, having one’s beliefs challenged is the requisite of education. Stress – confronting and then surpassing our limitations – is what life is about. We strive to break through convention, unless we hold ourselves back because of some past trauma that inhibits our reach. As a volunteer staff in multi-day workshops held by Gratitude Training, I aim to establish “safe space,” not so that participants are protected in their beliefs but so that they confront them, and realize that those beliefs – whether light or dark, enjoyable or traumatic – are of their own making, an interpretation of experience that has them constrained from taking action on their dreams. 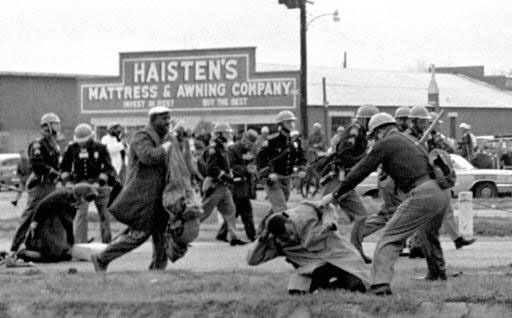 At Selma, the marchers for voting rights and their forebears had experienced centuries of repression. Instead of hiding out in Brown Chapel, they marched into a police phalanx and three weeks later, on their third try, reached Montgomery. College campuses are fraught with no such danger. Neither are history lessons. This entry was posted in education, Voting Rights Act and tagged American exceptionalism, AP history, belief, Gratitude Training, political correctness, Selma. Bookmark the permalink.